The pleasures of a gorgeous view enjoyed with a glass of wine and an exquisite meal invite lingering. Rouas and business partner Robert Harmon made it possible to do just that in 1985, when they opened the inn, a collection of sun- and earth-toned rooms and suites, each featuring French doors opening onto private terraces, cozy fireplaces and sensuous elements such as private soaking tubs for two. 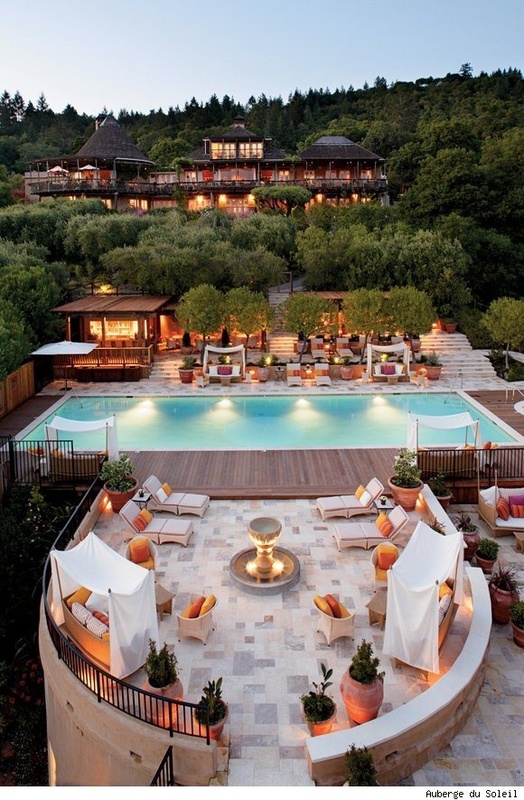 For the Auberge’s signature style of soft-spoken luxury, the partners tapped renowned designer Michael Taylor, who infused his dramatic California style with the essence of Provence.